The Center is a multidisciplinary collaboration focusing on fertility issues and preservation in cancer patients. We serve men and women with cancer and their families. We offer several clinical and research options for patients with cancer facing potential loss of fertility from chemo and radiation therapy. Some of these options are proven effective while others are investigational treatment options. 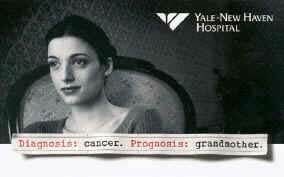 One of our most important ongoing projects is the Fertility Concerns of Cancer Patients Study. We encourage patients with cancer and healthy volunteers to participate. This study evaluates what value people place on fertility and its potential loss in the setting of cancer treatment. The study is completed entirely on the web and takes only 10 minutes to complete. The entire survey from that point should take less than 10 minutes to complete. Click here to begin. We are please to announce the availability of our dedicated ovarian cryopreservation facility. Copyright ©2001 Steven F. Palter, MD. Comments or suggestions to the site editor.